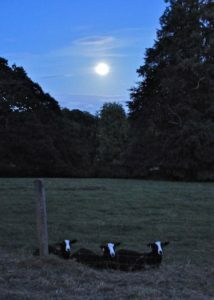 Standing silent listening to a sky full of moon, lambs lying on dewed grass, I hear a distant late night harvesting combine working in the fields. 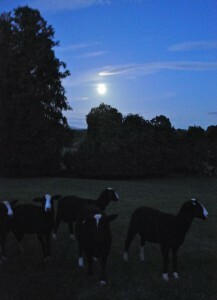 Lost thoughts come out in a moon lit sky as clouds whisper across shadowing the fields beneath. 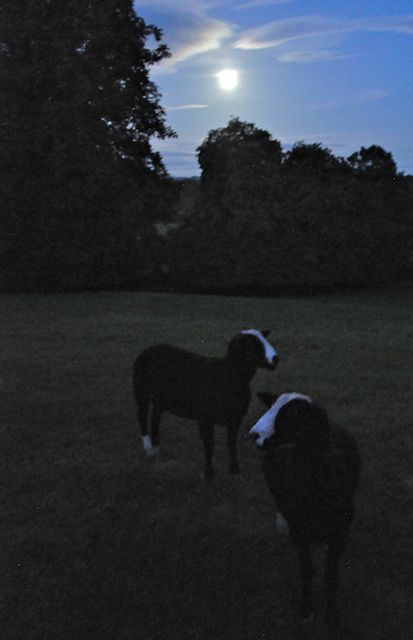 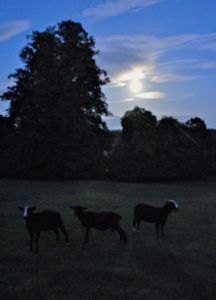 Lamb’s moon shadows are faint against grass, though the moon is a bright bulb moving through a night’s blue sky. The moon glows as a faint vale of clouds send a cobweb of shadows across her face. 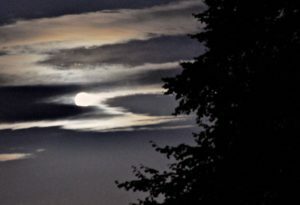 Still the Moon & Move the Clouds.